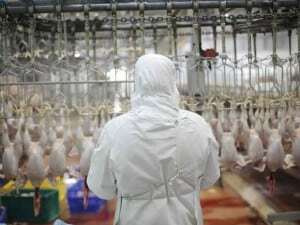 Due to the ongoing concern in the UK Muslim community regarding machine slaughter being accepted as Halal an arbitration on machine slaughter is taking place. It is appropriate that this should be discussed and decided by Islamic scholars, presided over by the Muslim Arbitration Tribunal. This way, each side will have the opportunity to debate and put their case forward. Currently over 1,75million chickens are being slaughtered using machine slaughter for the Halal market every week by UK producers and certified by unregulated Halal certifiers. This has created problems regarding Halal slaughter being done in this way. Unregulated Halal certifiers will have the opportunity to defend the use of machine slaughter at the Muslim Arbitration Tribunal. The Muslim Arbitration Tribunal is a form of alternative dispute resolution for the Muslim community that operates under the Arbitration Act 1996. Their ‘core business’ is arbitrating Islamic disputes under the Arbitration Act 1996, where the Rulings can be enforced in England and Wales by both the County Courts and the High Court. b) take appropriate enforcement action. 2. Is it acceptable as a policy to slaughter Halal by machines in the poultry industry for the Muslim community here in the UK? All relevant parties will be informed about the pending arbitration by the Muslim Arbitration Tribunal in due course, allowing both sides to have the opportunity to present their case.